Everybody could use some help from time to time. Luckily, our Little Rock Land Rover dealership is here to provide a helping hand. Whether you are looking to learn more about what we do or you’re in need of roadside assistance, call us! 24-Hour Roadside Assistance: our team will provide assistance with simple services such as flat tires, fuel delivery, keys locked in the car, and much more. 24-Hour Emergency Towing: complimentary transportation of your vehicle to the nearest Land Rover Retailer or to another Land Rover Retailer within 50 miles of the closest Land Rover Retailer. Trip-Interruption Expense Benefits: if a warranty-related disablement occurs more than 50 miles from home, you will be reasonably reimbursed for out-of-pocket expenses. Retailer Mobile Technician Program: this program dispatches an authorized technician from our Little Rock Land Rover service center to come out and assist you you roadside. Our team works hard to make sure you get the service you deserve. When you are in need, we are here to help. Call the numbers above for Roadside Assistance, and click here to learn more about our Roadside Assistance Program. 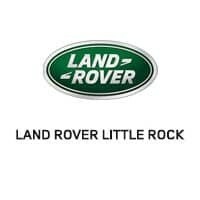 Contact Land Rover Little Rock by calling us at (833) 664-6127.